ORMON GRIMSBY’S House of Halloween Hullabaloo! Please grade on a curve, as I am writing this at 3AM (and I’ve been up since 6AM, yesterday), and these accounts may or may not be completely fabricated! I’m always going to remember this week for two reasons; 1) I was somehow able to have an accident in a rental car halfway across the country and 2) I met Ormon FREAKIN’ Grimsby! I’m happy to say that latter went a long way in easing the pain of the former! I count myself very lucky to have been able to attend Ormon Grimsby’s Halloween Hullabaloo in Durham, NC (only about 30 minutes from home) on Friday, October 28th. This was essentially a huge Halloween party Ormon threw with a 3-D movie he’d created just for the occasion along with lots of great music and a costume contest. Some of you out there who were in high school or college in the 90s might remember a band called Southern Culture on the Skids (S.C.O.T.S. for short – http://www.scots.com/). They had a fairly big record back then, but didn’t really make it huge in the Grunge-era. However, they are hometown heroes who are always a big draw in the area, and they coordinated with Ormon for this movie and shindig. 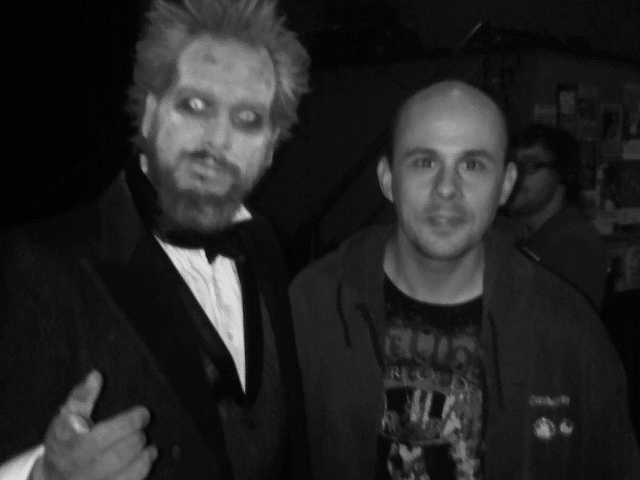 I am proud to say that Ormon Grimsby (aka – Mr. Craig Vance) is my local horror host! 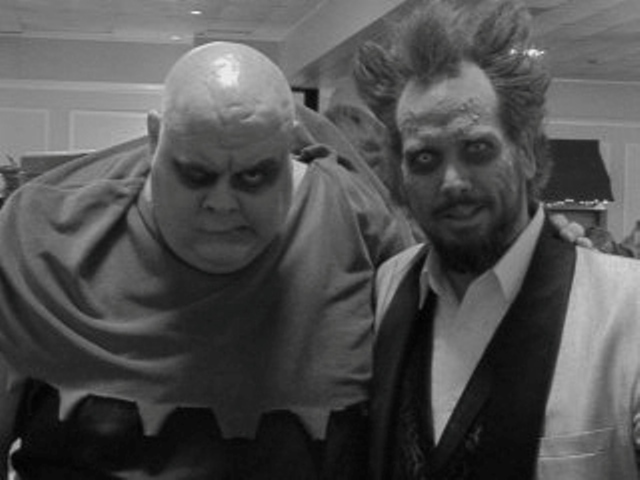 If you don’t already know, he hosts Monster Creature Feature here in Raleigh, NC, and it is well worth your time to check him out. He was incredibly gracious and stopped everything he was doing to prepare for this huge event to give me about 30 minutes of his time. Given what he had going on, it was probably kind of a pain for him to do it, but he didn’t let on if this was the case and I had an absolute blast speaking with him. I originally planned to do a 10 questions-type thing, but we started talking and it soon went from “interview” to conversation. Raleigh was lucky enough to lure Ormon from Detroit, MI via his work in the graphic arts – specifically video game design, bringing his Sir Graves Ghastly and The Ghoul influences along with him. Having lived in the Midwest – a major hotbed of horror hosts – Ormon hit the scene around 2003-04. Created as an antidote to the American Idol-style shows where everything was focused on consumption of product, Mr. Vance wanted to make something inspirational for his young fans. Something that would maybe make them want to “pick-up a pen, or sculpt a mask”. 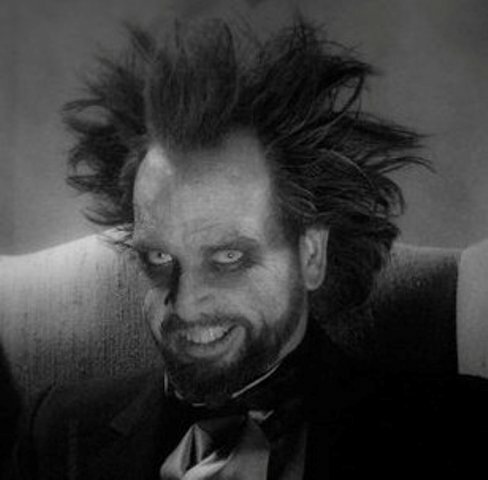 As with most things good, Monster Creature Feature evolved and grew – but always with Ormon Grimsby as the ringleader. The show has thrived via cable access, Internet, and even more mainstream inclusion as a local Halloween-guide on our local NBC news station. 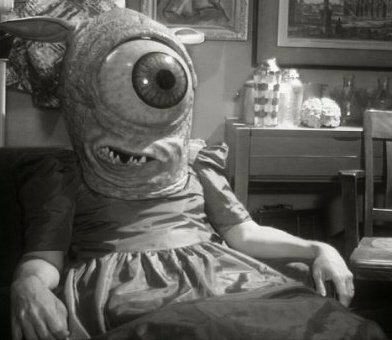 This evolved into Ormon having his own Halloween special one year on the same station (which was eventually butchered by a religious fundamentalist working there). You can see an unedited clip HERE. I am proud to say, I have seen Mr. Vance’s latest video creation (the 3-D movie at the Halloween Hullabaloo) and he needs no editor. It was funny, campy, and had a great storyline – which wove the members of S.C.O.T.S. into an alien invasion story. Ormon’s latest masterpiece fills the screen! Mr. Vance has been pitching a weekly show to various local stations though, so far, unsuccessfully. Unfortunately, the reality is, local stations have very little local flavor anymore. But, Ormon Grimsby perseveres, and I personally think he is capable of becoming a huge hit – especially so far as his loyal audience here in Raleigh in concerned. And, it hasn’t kept him from attending horror conventions either. But, his 6-year old is not that impressed by having such an awesome dad! 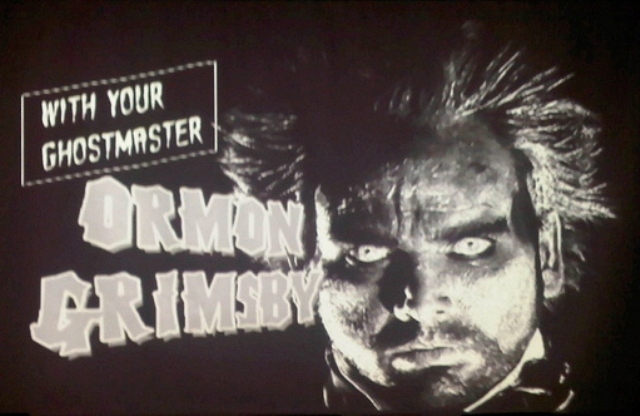 We traded a couple of dad stories and I had the really neat experience of talking to Ormon Grimsby, in full make-up, and seeing him beam while talking about his little ghoul. We talked more about creativity, and how important it is to “carve a creative life out for oneself” (something he has done, in spades) and about his dream of opening “Ormon Grimsby’s Ice Scream” shop. If I ever win the lottery, I would halp Ormon make that dream a reality! I promise!! And, we talked about his hope for the future of the show – that it continues to be the inspiration to kids. Then it was back to the Halloween Hullabaloo! So after a quick picture (which wasn’t all that quick, as my camera decided it was going to die on me, leaving me with only my cell phone) Ormon was back to preparations. He had already outfitted the entire show area with huge recreations of old Don Post-style Halloween masks that glowed in the lowlight. 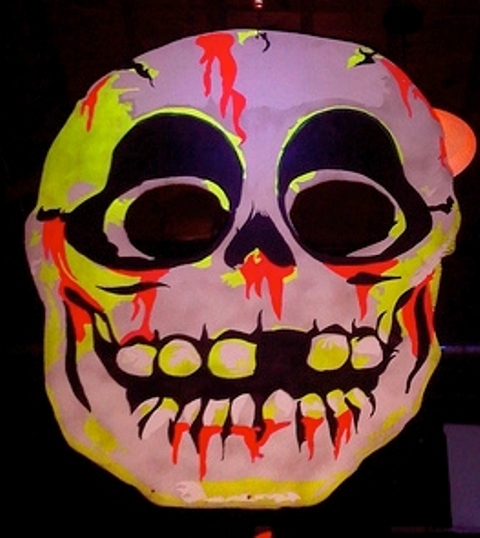 I was especially enamored by a cartoonish skull that I distinctly remember wearing as a kid. Before long, Ormon took to the stage to M.C. the event. 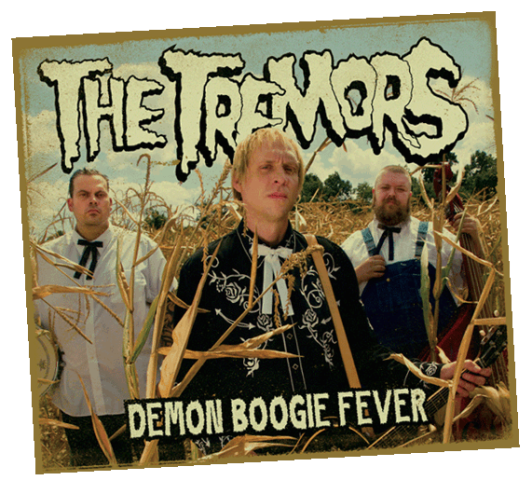 First up were local boys The Tremors – http://www.tremorsrockabilly.com – aka – “The Scourge of the South.” These guys blew me away with their energy and fantastic songs. Count me as a convert! After The Tremors closed their set, a video screen came down and we were all invited to don the 3-D glasses we’d been handed when we bought our tickets. Up comes Ormon to present us with a short film he’d put together that weaved in and out of the remainder of the evening – culminating in the S.C.O.T.S. hitting the stage. Finally, after a direct segue way into their set, the boys and girl that make-up S.C.O.T.S. hit the stage in support of a reissue of an old horror-themed album they’d put out, Zombified. What followed was blood, guts, fried chicken, a one-eyed monster from the film dancing on stage with go-go girls, and a young man channeling the spirit of Mexican super-hero Santo (http://en.wikipedia.org/wiki/Santo)!!! 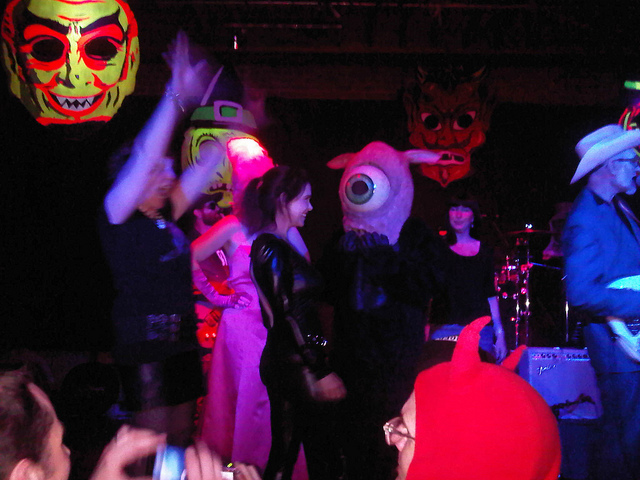 Everything closed with a bizarre costume contest where Fay Wray (with King Kong in-tow) won the prize. I was personally a big fan of the creepy guy who stayed completely in-character as Michael Myers. And, Ormon had a funny little bit he did around old Mikey not speaking. S.C.O.T.S. are always great, but they were in fantastic form tonight and their fans were right there with them. I came to see Ormon, but it is always great to see the S.C.O.T.S. do their thing. 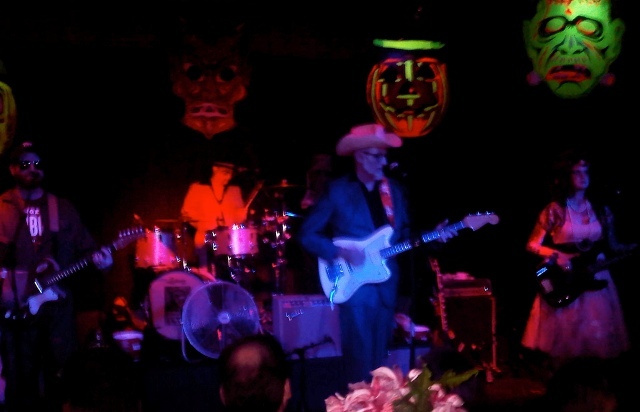 This was a Southern-style Halloween party run by a spook show host from Detroit! Who would have thought it? But, it was one heck of a wild ride. So, big thanks to Ormon for his time, generosity, and just being a really great guy who is such a big inspiration to our area (and especially to me). This world would be a better place with a little more Grimsby! And, as usual, thanks to The Daves for being so cool as to host a little of my whacked out, sleep deprived nonsense. Two more guys who are never anything less than inspirational. This entry was posted in Halloween, Horror Hosts and tagged American Idol, Creighton, GHOUL A GO-GO, Ormon Grimsby, Penny Dreadful, Richard Church, The House of Halloween Hullabaloo, The Tremors. Bookmark the permalink. 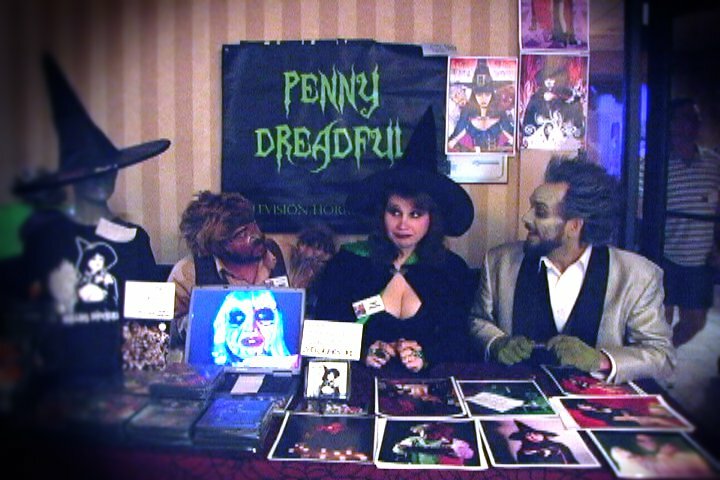 ← Meeting Robert Englund was anything but a NIGHTMARE!